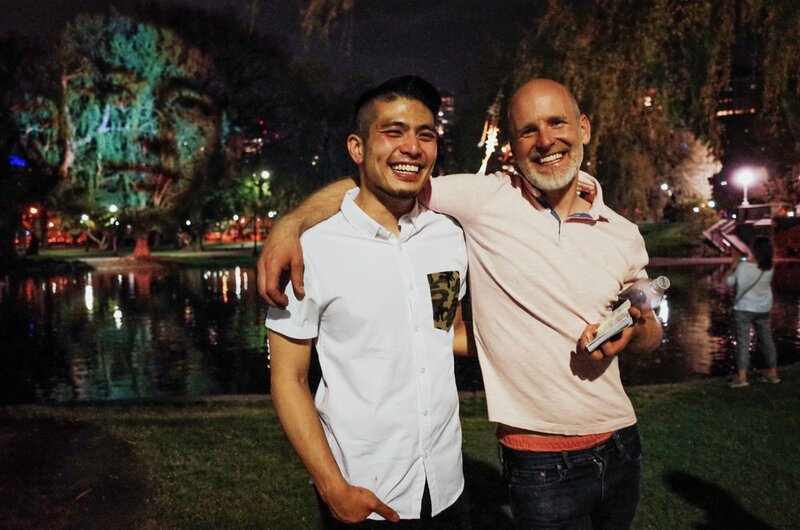 Boston Stands with Immigrants is honored to announce we've been selected as a featured artist in Artweek's 2018 festival! 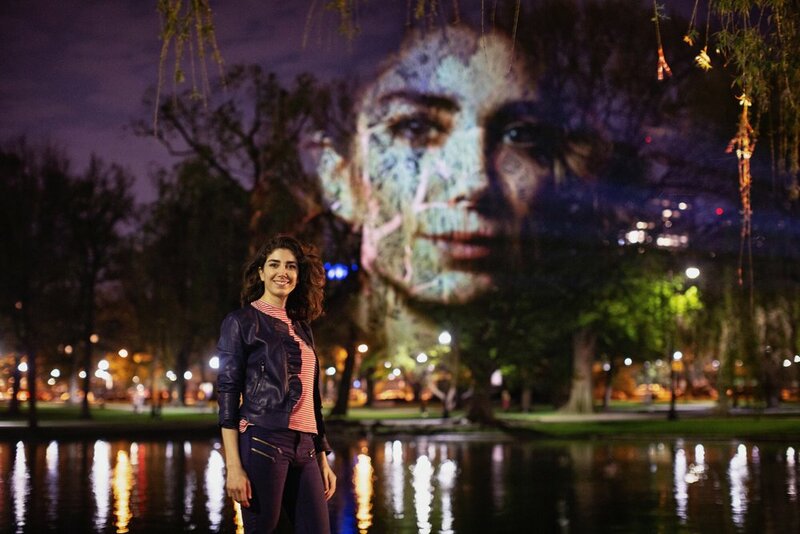 On April 28th and May 4th, our portraits will be projected at a variety of locations in Boston. The public is invited to interact with our team, meet the subjects, and engage around the topic of immigration. More can be found at http://www.artweekma.org/event/boston-standswithimmigrants/all/! Hope to see you there! Boston #StandsWithImmigrants is proud to announce the debut of our on-going portrait series at the Edward M. Kennedy Institute! In April and May 2018, the museum will showcase our project's imagery, enabling visitors and students from across the country to learn about the experiences of immigrants from throughout our city. The Institute is dedicated to inspiring the next generation of leaders to participate in our democracy, and regularly works with people and organizations that are making a difference in their communities. Please consider a visit! Learn more about the upcoming exhibit HERE. We're on the PBS Newshour! The PBS Newshour joined Boston #StandsWithImmigrants on a projection back in December and produced a story which is airing this Saturday, February 24th! In Boston that is WGBX at 5pm. Check your local listing for the PBS affiliate and times. Our long-awaited projector will arrive on TUESDAY(!) and we'll be lighting up the night again with a fresh round of 10 amazing faces (including Yo-Yo Ma). 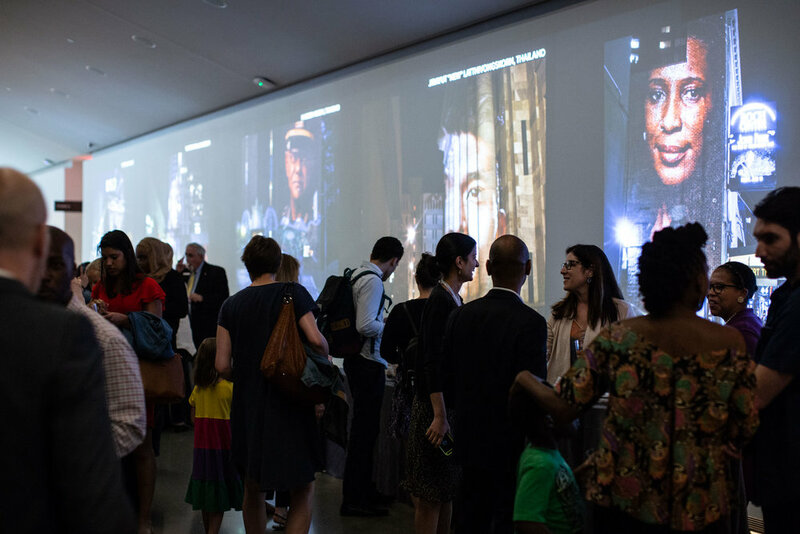 We have two projection dates in this year's Art Week lineup. And we're in the final stages of planning our opening reception at the Kennedy Institute where our project will live in April and May. Much more to come on this, including the amazing story-telling programming in the works. We hope you'll tune in to PBS Saturday night and follow along on the Facebook thing for all the new projections. We now have a projector! A year has now past since the first immigration travel bans. And at times it still feels like we’re drowning in a fire hose of dim news about DACA, border walls and TPS rollbacks. But Lo! Some good news! 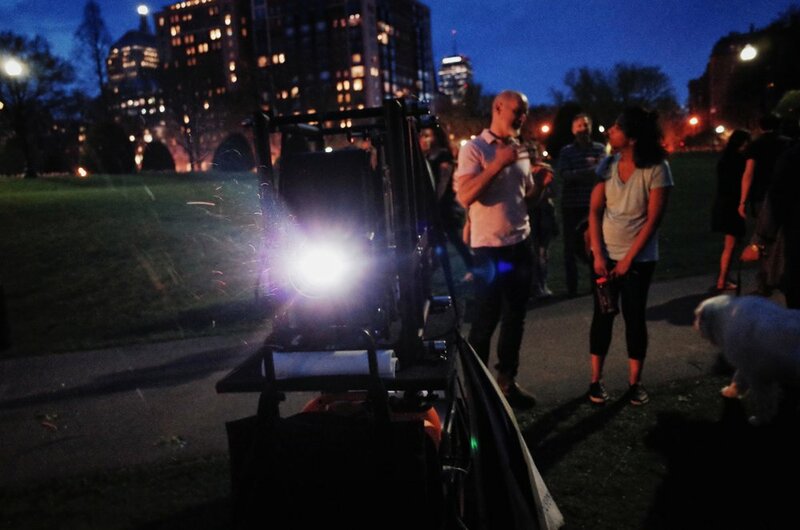 Thanks to YOUR support, Boston #StandsWithImmigrants now has a projector! 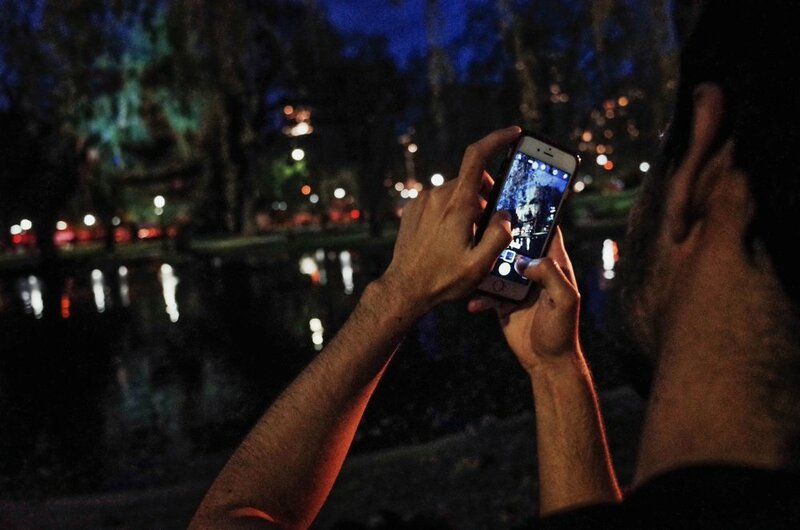 Just in time for Supreme Court arguments on Trump’s travel bans we will be lighting up the streets of Boston again and pushing back against the administration’s message of intolerance. I started this project because I know our country is more compassionate and inclusive than our President. Your enthusiasm and partnership bears that out. Thank you. Thank you also for all the fantastic subject nominations! It was enlivening to see even more examples of immigrants and refugees who are giving back to this community. It was a hard choice but based on our project goals we have chosen to include Will Mbah, an immigrant from Cameroon who lives in Somerville. As a newly-elected Alderman, he is fighting passionately to make the city a more affordable to live and improve access to healthcare. Check out his story here: http://www.willmbah.com - Thank you Steve Legare for the nomination! 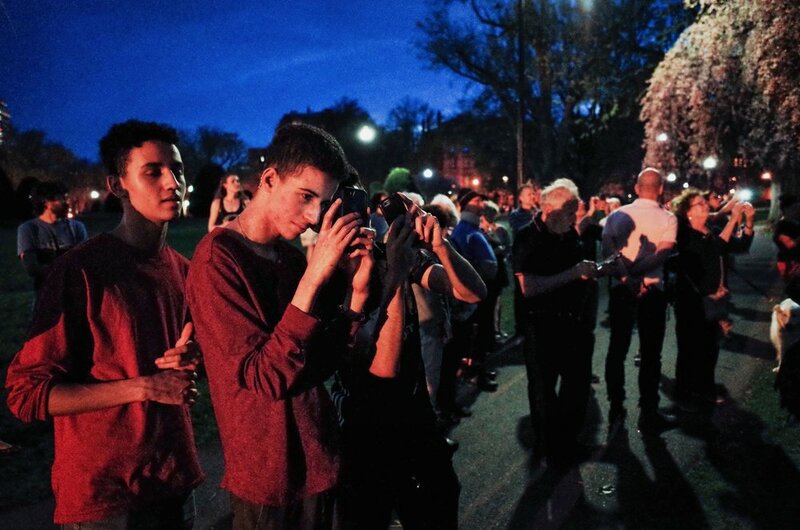 In the coming months we’re focused on projecting our next 10 subjects, designing a month of pop-up projections around town and rolling out a gallery of our images and programming at the Kennedy Institute. The months of April and May will be busy! We’re also developing ways to translate all the interest #Stands generates into attention and support for our roster of partner organizations MIRA, IIIC, JVS, IINE all of whom are doing amazing work for immigrants and refugees in the greater Boston area. Please check them out. Much more to come. Thank you! 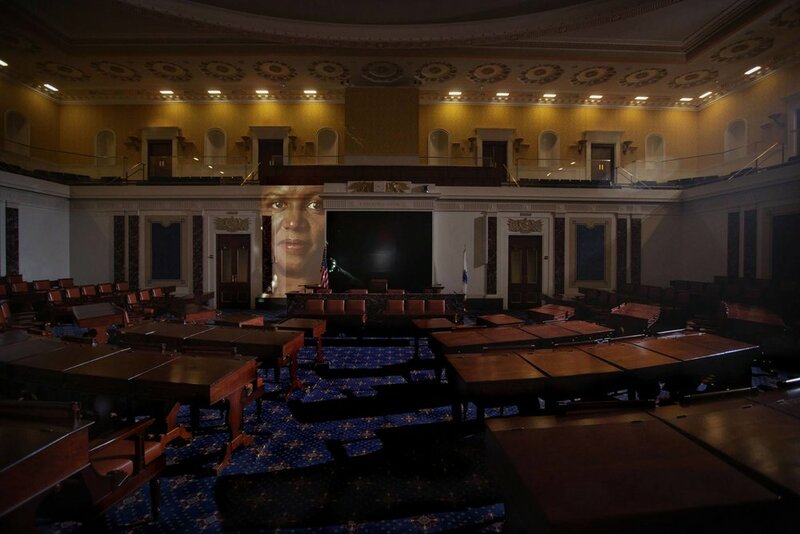 In light of our President's most recent comments, Boston #StandsWithImmigrants would like to share why we believe the United States wants to welcome people from countries like Haiti with one amazing example from the project - Senator Linda Dorcena Forry. In fact, this is the exact kind of person/politician we think this country need more of right now. "We have to be responsible for one one another. You don't have to be Haitian. We're human beings." The IndieGoGo campaign has officially wrapped! 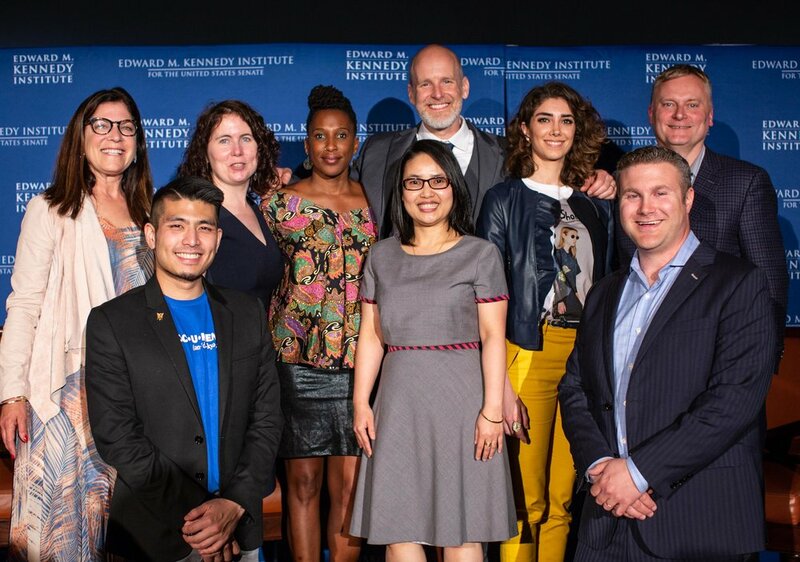 Thanks to your generosity and two last-minute grants from Emerson College and the Edward M. Kennedy Institute, the technology for Boston #StandsWithImmigrants is now 90% funded! THANK YOU for all your support and belief in a more inclusive and compassionate world. Those of you who claimed perks, we’ll be processing and sending those out over the next couple months. Those of you who contributed $25 or more, we are now taking your nominations for a local immigrant or refugee to include in the project. Simply reply to this email with their name, contact information and a brief description of why you’re nominating them. At the end of January we will select one subject to include in the final body of work. New Year’s Eve – At the strike of midnight, our projections will appear on what’s being billed as the “Largest Canvas on Earth” - Emerson College’s Uncommon Project. 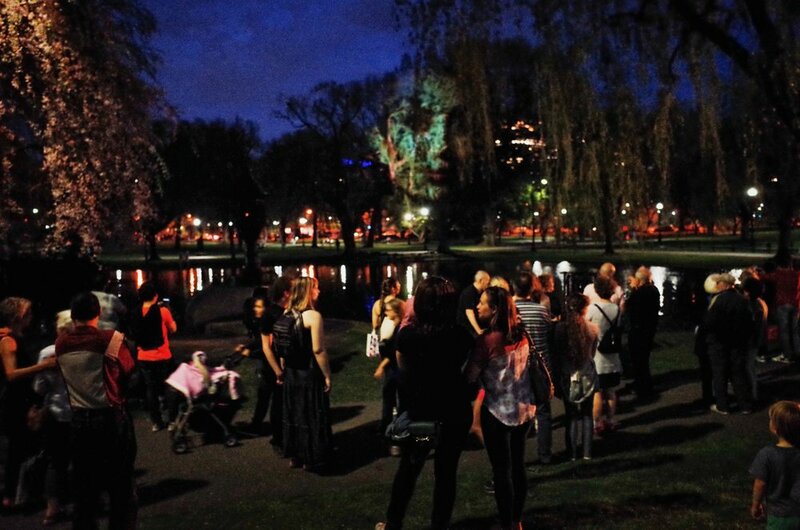 If you’re out and about on the Boston Common for First Night activities, please join us for the countdown and unveiling! Tonight 12/28 Erik will talking about the project on The Take with Sue O’Connell. Show time is at 7pm on NECN. More updates to come as the campaign rolls on! Happy New Year!